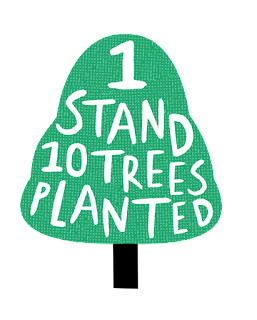 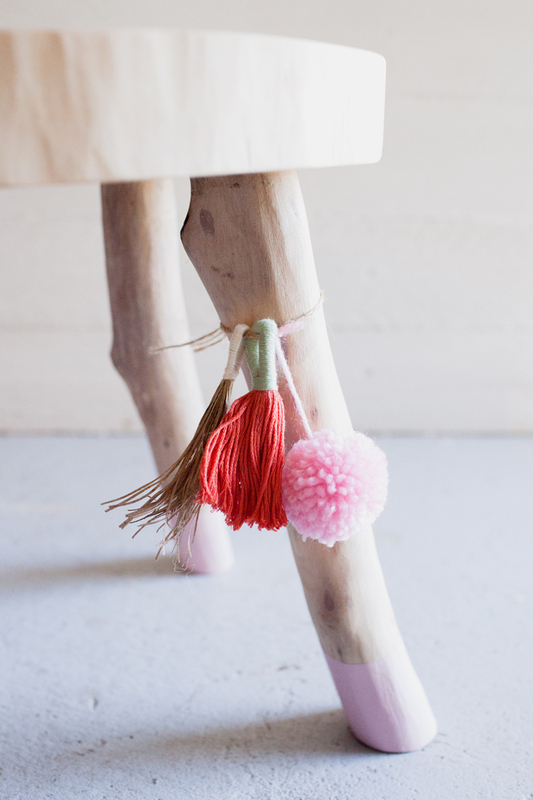 The stand comes with a two handmade tassels and a pom pom which can be moved around depending on your styling preference. 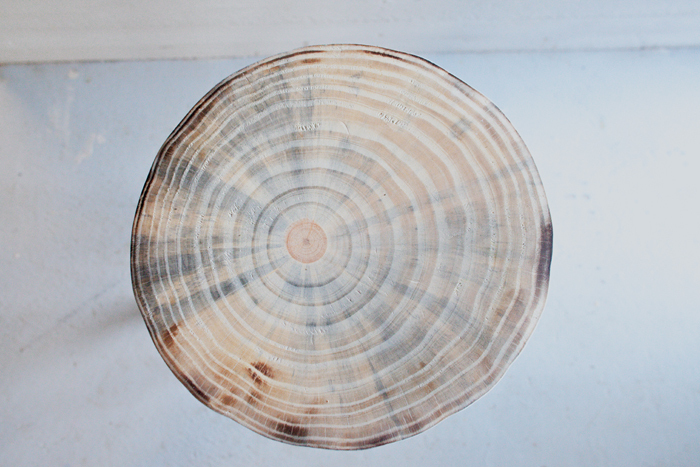 The top has the prettiest wood hues and ring formations. 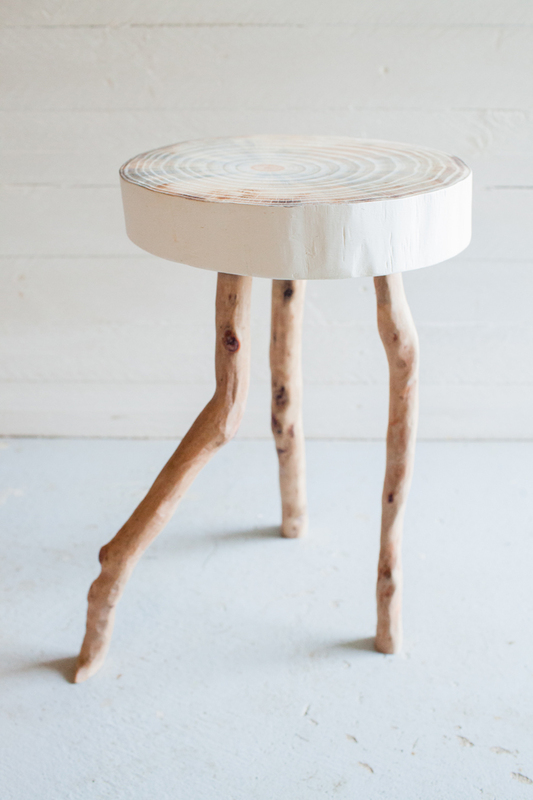 Sealed with an eco/vegan friendly finish. 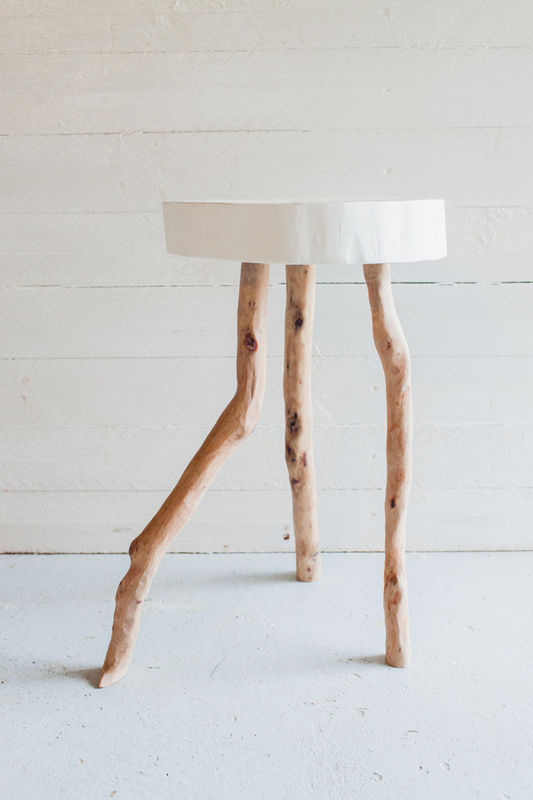 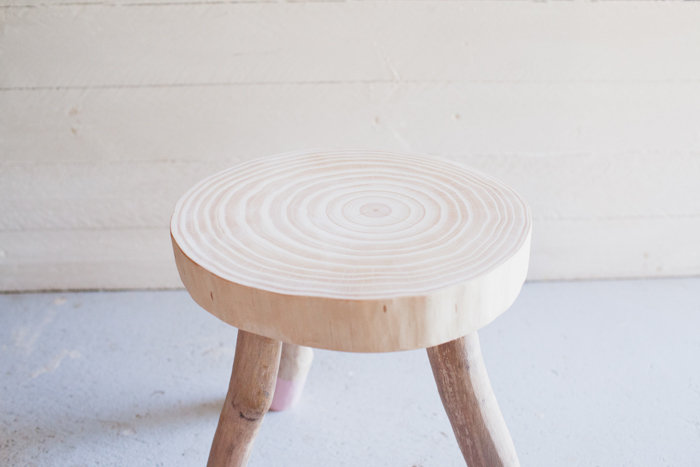 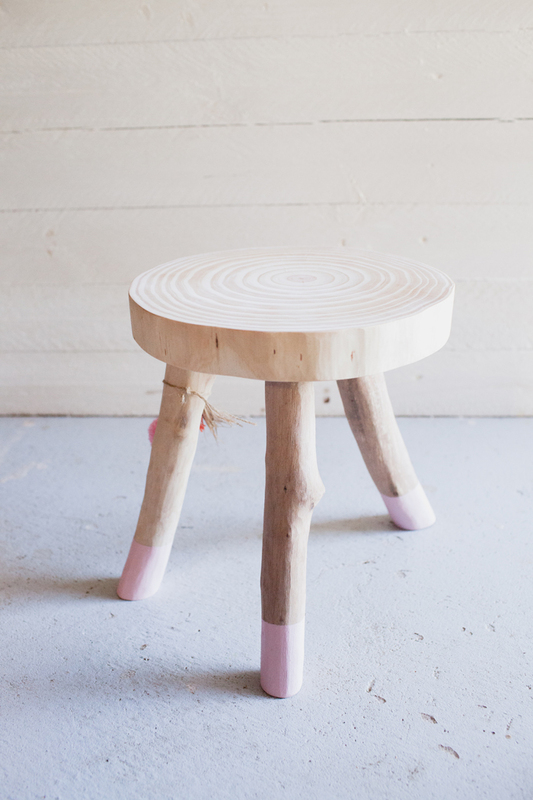 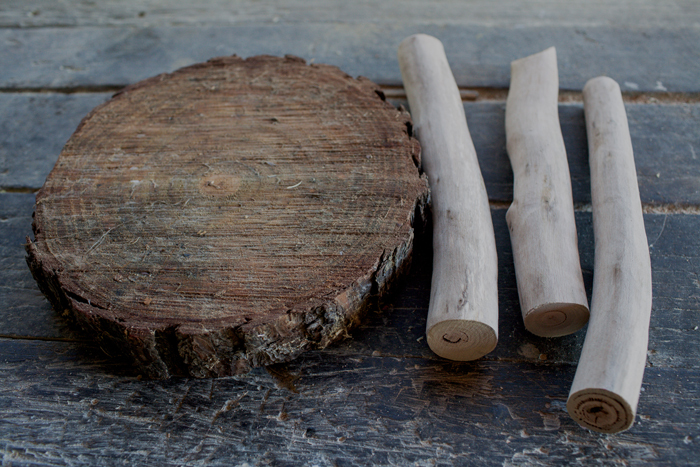 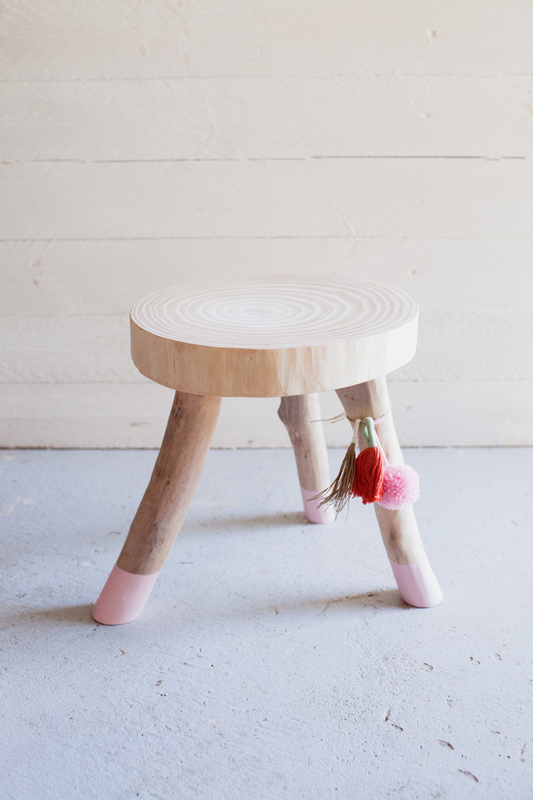 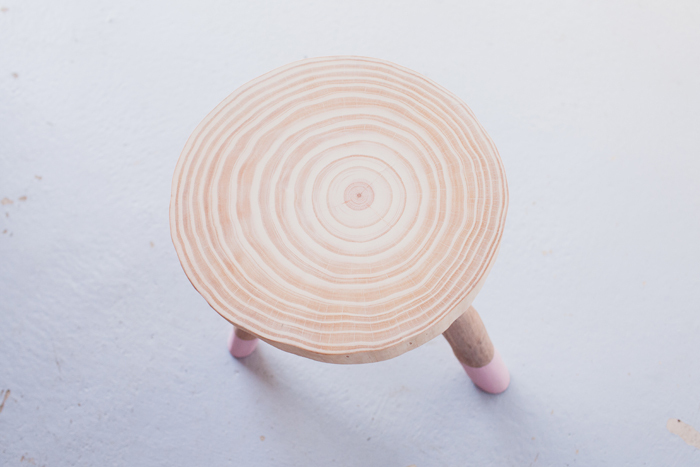 The pink dipped legs give this stool a super soft and sweet finish.